Turbokits153 from Metra...a quick and simple way to install an aftermarket radio in the original factory radios location. Custom Kit for Volvo 200 Series Upper Location 1975-93 Professional Installer Series kit offers quick conversion from 2-shaft to DIN Recessed for DIN/pullout applications Designed to mount precisely to the OEM radio mounting position High grade ABS plastic Turbokits are uniquely designed to provide a combination of strength appearance and versatility. Because Turbokits are made from ABS plastic they can be easily modified for custom jobs. 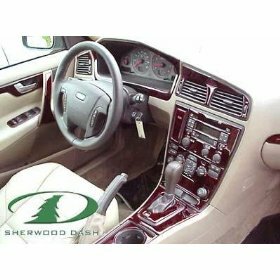 The faceplates are designed to fit the dash opening perfectly with no gaps and DIN radio ISO mounts are included in as many Turbokits as possible. 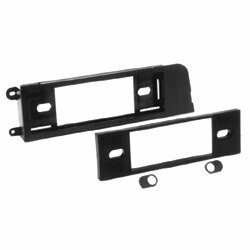 A Turbokits brackets are designed to emulate the factory radio brackets making the installation of an aftermarket radio the fastest in the business. Note: Except for vehicle specific kits Turbokits are designed for multiple applications and fit multiple car models perfectly. 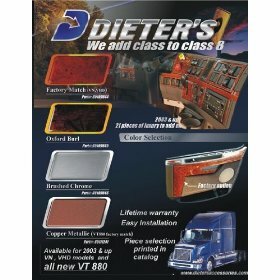 Likewise many vehicle makes and models have multiple kit options available. Although your specific year make or model may not be listed above if the Metra Installation Kit Wizard directed you to this item then this kit is designed for use with your vehicle.